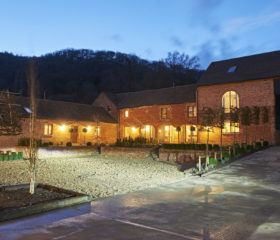 Big blue skies and clean country air surround Midsummer Barn, tucked protectively under the arm of the Malvern Hills. Through the picture windows, you can pick out your path through the nature trails. 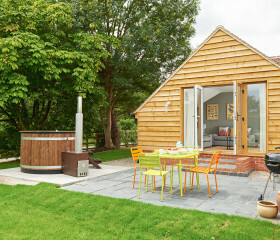 Come back to underfloor heating, blazing logs and private garden for al-fresco steak and salad. 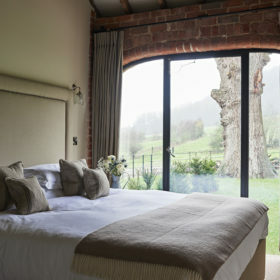 Through picture windows, the Malvern Hills rise majestically to meet big blue skies. The clean rural air hangs over the valley. 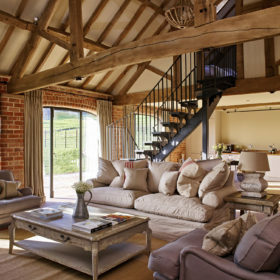 In the epicentre of this bucolic beauty sits Midsummer Barn, one of four restored barnstorming barns at Fairoaks Farm and offering two bedrooms to family and friends looking to reconnect and recharge. 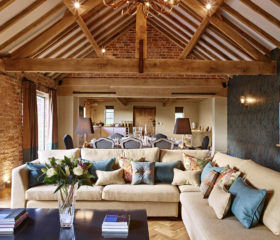 More French boutique than a Parisian spa, Midsummer Barn will warm your heart – and warm your toes. 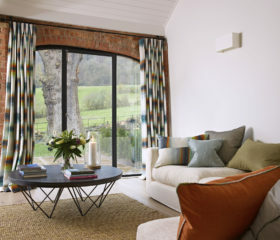 Underfloor heating floods the floor, the views from the windows reach the sharp escarpments of the Malvern ridge and there’s a private garden among the 300 acres for steaks and salads between the cricket and croquet. The wifi’s free and the wall TV delivers a fine family film night. Prepare the popcorn and curl up on the cushions. 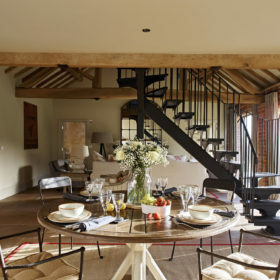 Up the spiral staircase, stargaze from the double bedroom with Velux windows. Downstairs, the other double comes with large luxury walk-in shower room. 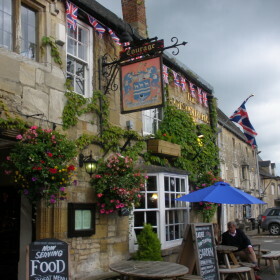 Cook for England in the state-of-the-art kitchen with oven, microwave, fridge and coffee machine for budding baristas, or call up our chef for a special celebration. 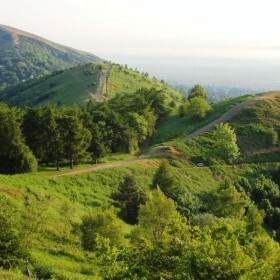 Walk it off from the front door along the Malvern ridge or just by pottering to the pub. 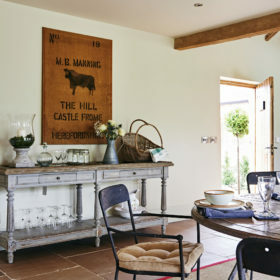 Midsummer Barn is an oasis of country calm in a mad world. Conquer the Malvern ridge, canoe the rivers, ramble the ancient woodlands at Ravenhill. 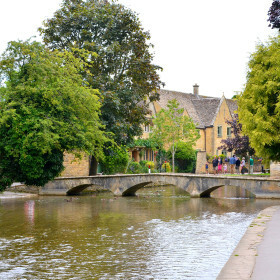 Check out Chelmsford Spa for boutique shopping and pretty Cotswold villages for babbling brooks and honey-stone cottages. 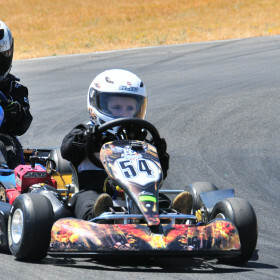 Kids can crack the Malvern Hills Spy Mission Treasure Trail or race the karts at Area 7. 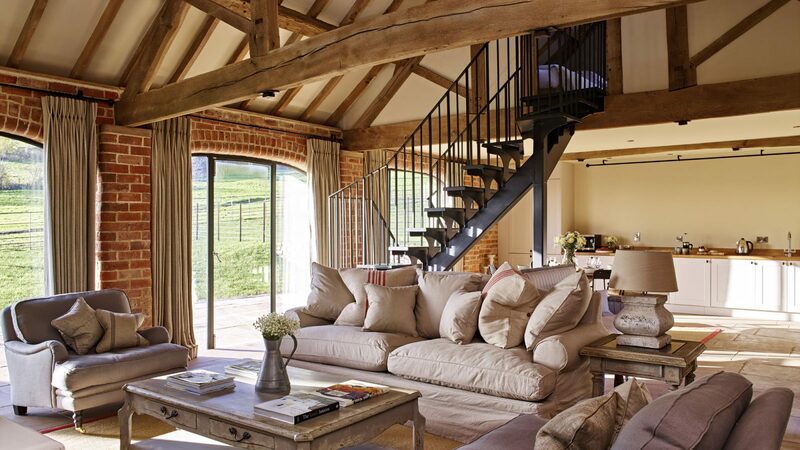 Luxury barn with a shared indoor pool in the shadow of the Malverns.